It is said that building a team is one of the hardest aspects of running a company. As someone who is relatively new to the whole running-my-own-company business, I can assure you that getting it right is probably one of the only things that matter. 2016 has been a year that has seen voices rise up against the inequalities several factions of our society have suffered for centuries. The acknowledgement of the need for diversity at workplaces is one such movement that has taken shape. At Eventosaur, we have been extremely fortunate on that front. Those of you who have followed us for a while know that most of our team is comprised of talented women who bring fresh perspectives to the table. We make it a point to introduce our team members to all of you because Setu, TJ and I love telling stories and are extremely proud of the team we're assembling. Today, we'd like to introduce you to our first design consultant - Jana Reis. Jana is Brazilian by birth and studied with Setu at the University of Washington, Seattle. After finishing my Interaction Design & Prototyping class at UW, I was looking for a side project that I could apply and develop my interaction design skills. While talking to Setu, one of my classmates at the program, I came to know from him about an opportunity in this area in which he was also a part of. This exciting project was called Eventosaur. I immediately sympathized with the name and the project challenges. To me, it was a unique opportunity for seeing a startup project taking shape and to be able to contribute to its success. Setu and I worked together here from Seattle and remotely with the guys in India. The time zone was not an obstacle. It was really interesting to experiment a variety of tools to make the communication efficient. We had to make sure that the whole team was on the same page, and that worked really well. In our design team meetings, we discussed design decisions to be implemented, what would be the perfect style guide, the results of usability testing, and what was the core goal to guide Eventosaur mission. Setu was our designer guide with the vision of what we should be aiming next. I am very thankful to him for giving me this opportunity and sharing with me all his knowledge. The programming guys are a blast, making the environment always fun and a pleasant place to work. Nikhil, our big boss, is undoubtedly a leader entrepreneur, passionate, focused, accountable, restless, seeding the inspiration in all of us. He is a gifted leader and I am pretty sure that Eventosaur will succeed in his hands, of course, with the imperative help of this talented team. These are all the reasons that I am really fond of this project. Unfortunately, my busy academic life is not allowing me to contribute closely to Eventosaur right now, but I’ll always be here supporting the Eventosaur family anytime they need me. We'll continue to tell you the tales of all the amazing people who are joining us on this journey. To follow our Journey and read our upcoming stories and introductions, you can find us on Facebook and Twitter. 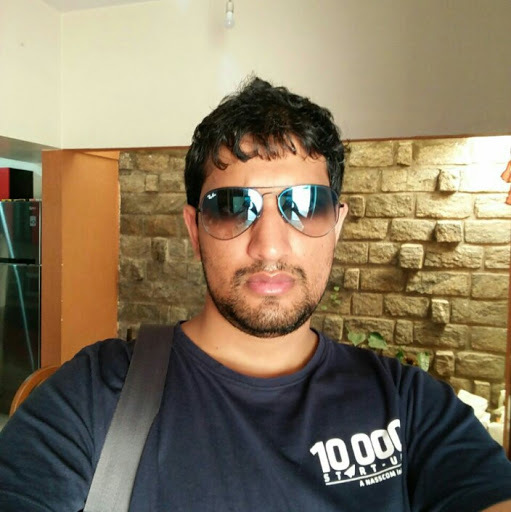 Nikhil Jois is Eventosaur's content creation expert. He usually wastes his talent on emails, but is occasionally allowed to write blog posts such as this one.